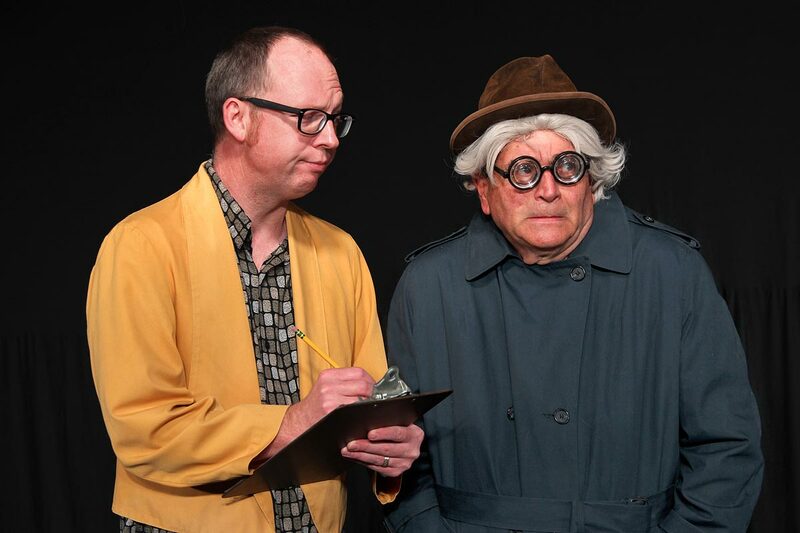 Get ready for an outrageous evening of one-liners, double-entendres and hysterical routines sure to triple you over with laughter! This comedy includes classic jokes, comic songs, and tributes to some of the giants of the comedy world. 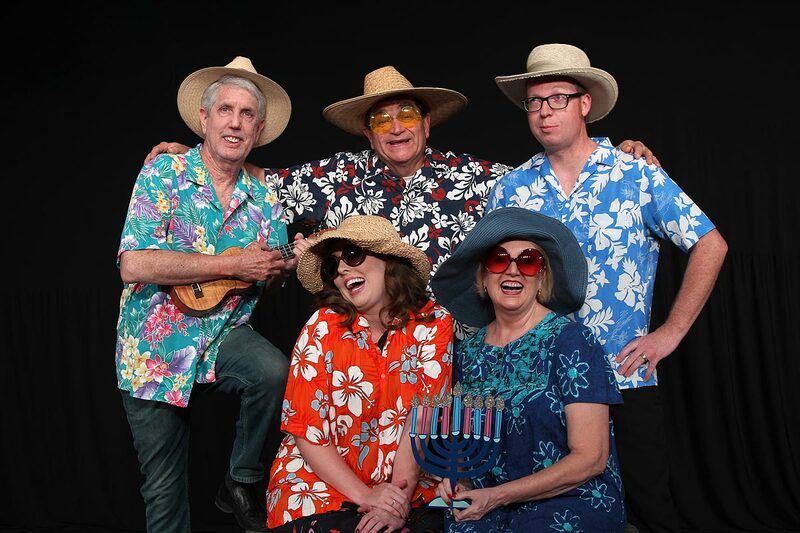 If you’ve ever had a mother, visited a doctor, or walked into a bar with a priest, a rabbi and a frog, OLD JEWS TELLING JOKES will have you rolling in the aisles. You'll laugh 'til you plotz! This show contains hilarious raunchy humor. No children under 17 admitted without an adult. DANIEL OKRENT (Playwright) has been editor-in-chief of a leading publishing house (Harcourt Brace); managing editor of a major magazine (Life); author of both a finalist for the Pulitzer Prize in history (Great Fortune: The Epic of Rockefeller Center) and a national bestseller (Last Call: The Rise and Fall of Prohibition); and a columnist for the New York Times. 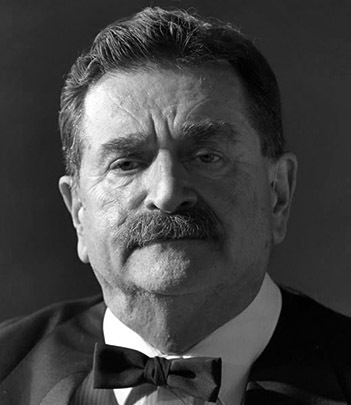 He has also acted in films (Sweet and Lowdown; The Hoax), appeared on many television shows, and been both an on-air commentator and a script consultant on three Ken Burns documents. Old Jews Telling Jokes is his first theatrical effort. PETER GETHERS (Playwright) is the president of Random House Studio, an editor-at-large for Random House, Inc., a television and film writer and producer, the author of eleven books, and a playwright. Among his books: the bestselling non-fiction trilogy about his extraordinary cat Norton, The Cat Who Went to Paris, A Cat Abroad, and The Cat Who'll Live Forever, and his latest novel, Ask Bob. He has written several television series, including Kate & Allie, and currently is an Executive Producer on the hit Food Network show, Heartland Table. In the theater, in addition to being the co-creator of Old Jews Telling Jokes, he is the co-creator of A Bed and a Chair: Love in New York, the first collaboration between Stephen Sondheim and Wynton Marsalis. 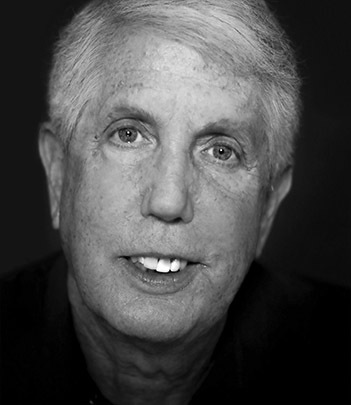 As a book editor and publisher he has worked with Lidia Bastianich, Roy Blount, Jr., Jimmy Carter, John Feinstein, William Goldman, Pete Hamill, Carl Hiaasen, Robert Hughes, Bill James, Kitty Kelley, Caroline Kennedy, Stephen Sondheim, Barbara Walters and many others. He is one of the co-creators of Rotisserie League Baseball and, as a result, is the longest continuous fantasy sports player in the world. As you read this, he is probably trying to take a nap. MICHAEL F. WOODSON (Morty) is excited to be back at LTW for his second show this season. Michael last appeared as Dr. Phillip Gottschall in GOD’S MAN IN TEXAS. Recent LTW roles include Walter Pangborne in MOVE OVER MRS MARKHAM, Mr. McLeavey in LOOT!, and Gus in SOUTHERN COMFORTS. His favorite past roles at LTW were George Hay in MOON OVER BUFFALO, Ansel in KILLER JOE, Dr. Charles in THE CLEAN HOUSE and Leo in A THOUSAND CLOWNS. He has also appeared at Arizona Theatre Company, The Invisible Theatre, The Wilde Playhouse and the Stray Theatre. A member of the Screen Actors Guild, he was seen in the television series Legend and The Young Riders, television movies Gunsmoke III, To the Last Man, and Geronimo, and commercials for Rawlings Radar Ball, The Arizona Lottery and Bulls Eye BBQ Sauce. He spends his off hours with his lovely wife, Kitty, gardening and taking care of their 2 Welsh Corgi dogs, 2 black cats, and other assorted wildlife that happen by their home. 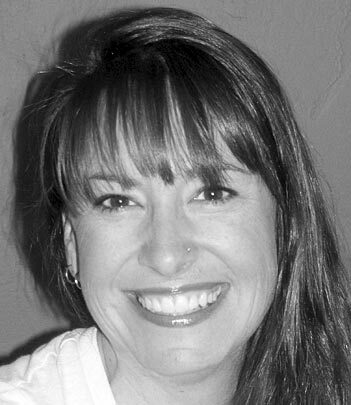 CANDACE BEAN (Debbi) is delighted to be appearing in her fourth mainstage show at LTW. A native of Southeast Michigan, she earned her B.A. in Theatre Arts from Albion College. She was previously seen in THE SAVANNAH DISPUTATION (Melissa), BOEING BOEING (Gloria) and HOLIDAY MEMORIES (Woman) at LTW. 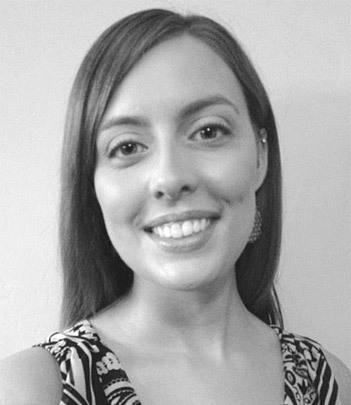 In Arizona, she has also worked with The Rogue Theatre, Beowulf Alley, The Santa Cruz Shoestring Players, Red Barn Theatre, and Old Pueblo Playwrights. 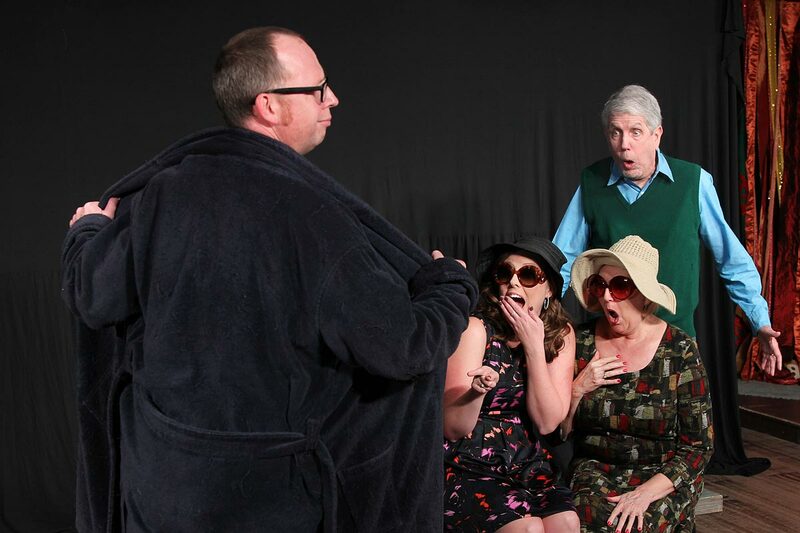 Some favorite past productions include JERUSALEM (Linda Fawcett), CRIMES OF THE HEART (Babe), DESDEMONA: A PLAY ABOUT A HANDKERCHIEF (Desdemona), ALMOST MAINE (Rhonda, Marvalynn, Waitress), FURTHER ADVENTURES OF HEDDA GABLER (The Woman in Pink, Cassandra, Eilert, etc. ), THE UNDERPANTS (Louise), RABBIT HOLE (Izzy), FOOD FOR FISH (Dexter), THE TEMPEST (Miranda), RED HERRING (Mrs. Kravitz), and MAJOR BARBARA (Barbara Undershaft). 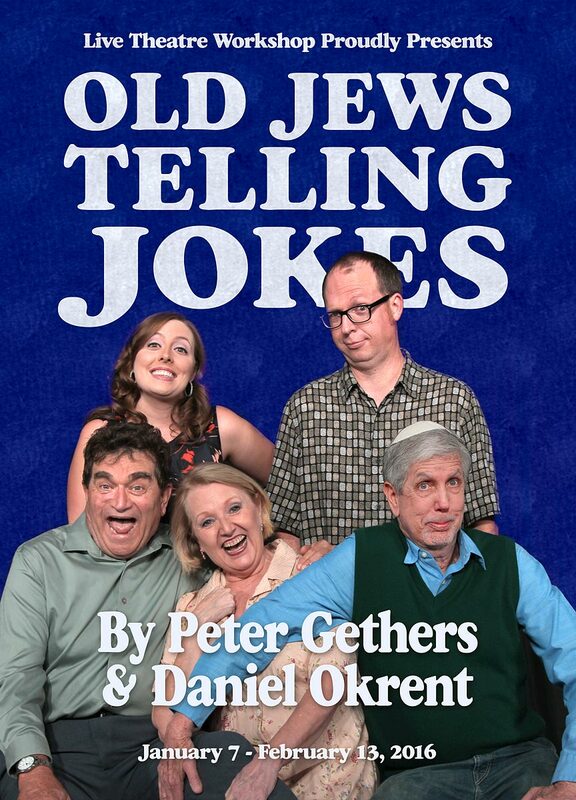 PAT TIMM (Bunny) is delighted to be a part of this production of OLD JEWS TELLING JOKES. Who would have thought? A native of Sioux Falls, SD who lived for many years in Schenectady, NY, she is very happy to be in Tucson--where you don't have to shovel the heat! Pat appeared in and directed numerous productions in both locations. She was most recently seen in THE GAME'S AFOOT, SOUTHERN COMFORTS and REGRETS ONLY here at LTW, and directed MOLLY SWEENEY. Pat appeared in THE GLASS MENAGERIE with Shoestring Players in Green Valley, checking Amanda Wingfield off the "bucket list". 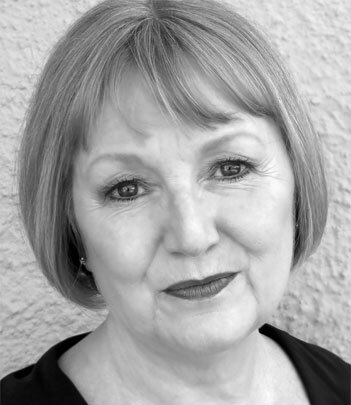 Previous memorable roles include Billie Dawn in BORN YESTERDAY, Chelsea in ON GOLDEN POND, Maggie in THE SHADOWBOX, Josie Hogan in MOON FOR THE MISBEGOTTEN, Clairee in STEEL MAGNOLIAS, Meg in CRIMES OF THE HEART, Maude in A COUPLE OF WHITE CHICKS SITTING AROUND TALKING, Mrs Reese in THE FARNDALE AVENUE...series, and especially Lady MacBeth in "The Scottish Play". Pat would like to thank everyone at LTW for making the magic happen once again. 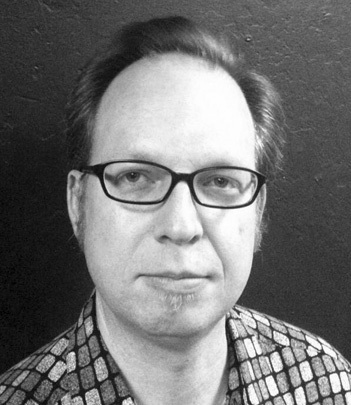 MATTHEW C. COPLEY (Reuben) is a native Tucsonan and a graduate of the University of Arizona with a degree in Theatre Education. Matthew most recently appeared on the LTW Mainstage in LAUGHTER ON THE 23RD FLOOR. Matthew's previous work at LTW includes the Mainstage productions of MOVE OVER MRS. MARKHAM, THE COMPLETE WORKS OF WILLIAM SHAKESPEARE (ABRIDGED) [REVISED] and PHOTOGRAPH 51, as well as the Etcetera productions of ROMEO AND JULIET and PLAYING WITH FIRE (for which he also designed and created the Special FX Makeup). Some of Matthew's additional acting credits include STONES IN HIS POCKETS with Beowulf Alley; HOT L BALTIMORE with The Nathalia Stage Ensemble; MACBETH, RICHARD III, and A MIDSUMMER NIGHT'S DREAM with Tucson Community Theater; THE COMPLETE WORKS OF WILLIAM SHAKESPEARE (ABRIDGED), THE SINS OF SOR JUANA, and multiple appearances in the annual productions of A TUCSON PASTORELA with Borderlands Theater; A MACBETH with METAtheatre; REAL LIVE DEATH with a.k.a. Theatre; and THE WATER with The iDiOM Theater in Bellingham, Washington. Matthew would like to thank his amazing family for their never-ending love and support. He would also like to provide an extra "A sheyner veyer dank!" to Lynn and Holly, his very own Jewish "Moms" from back in the day. MARYANN GREEN (Director) is happy to be back working the main stage at LTW after a few (ok, 11) years hiatus. She was last seen in Etcetera's THE F WORD which she also wrote and directed. When she's not here, she's molding young minds at Rincon and University High School or being edgy as a member of the Tucson Fringe Theatre Festival Board. She'd like to thank her husband and son for remembering what she looks like when she's occasionally home from rehearsal.